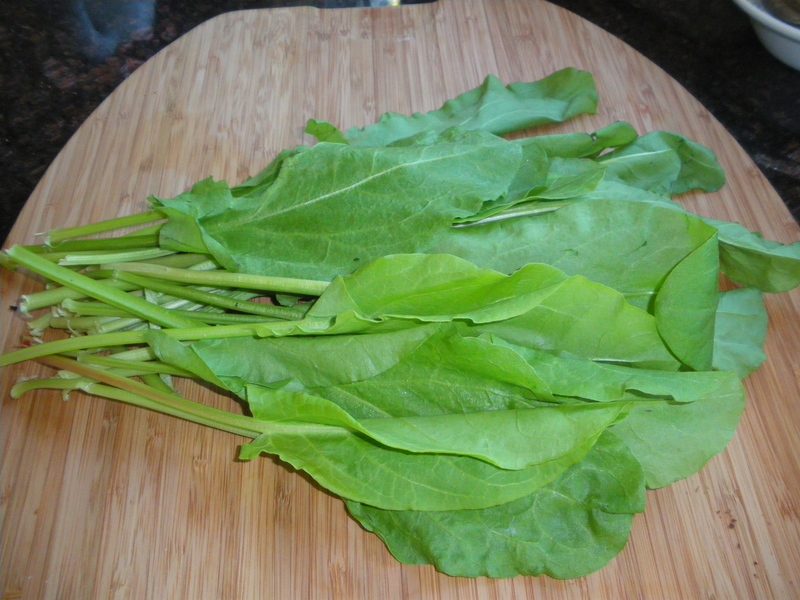 Sorrel is hard to find and very expensive in North America, so unless you grow your own, you can cheat by combining the sorrel with beet greens. 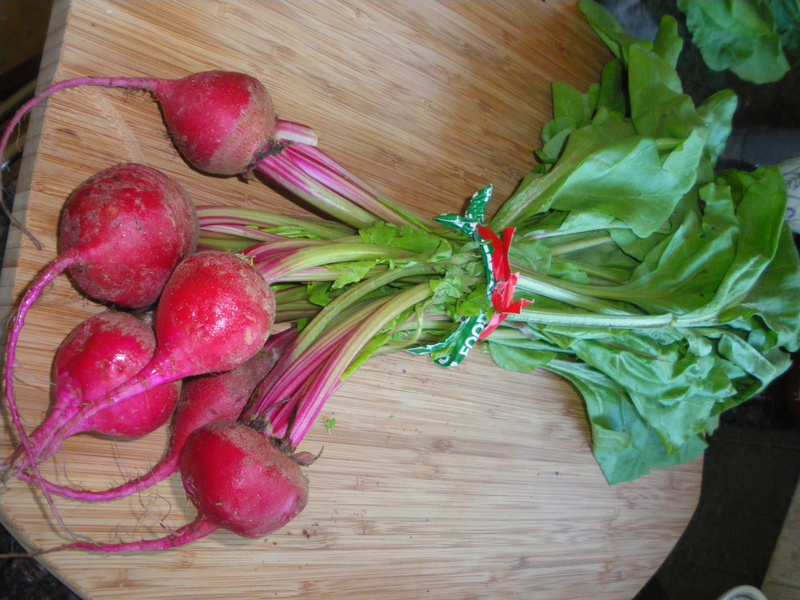 Blanch the greens of a bunch of beets and a bunch of sorrel in a large pot of salted water for 5 minutes. Then rinse three times under cold water. Drain completely, let sit and drain again. The bitterness is now gone with the water. In the blender, add the greens and 1/4 cup 10% cream and pulse fine. Add a nut* of butter. Return to small pot and heat up on very low. The sorrel greens turn brownish, the beet greens stay very green, the sauce should have a nice green. Cook and peel the beets, peel and cook the potatoes. Pan-fry the sablefish- also called black cod- in a very hot pan with 2 tbsp olive oil, 1 tsp maple syrup, 1/2 tsp soja sauce. The skin will caramelize quickly. Serving: on heated plates, lay 3 tbsp of the hot green “sauce”, and spread it. 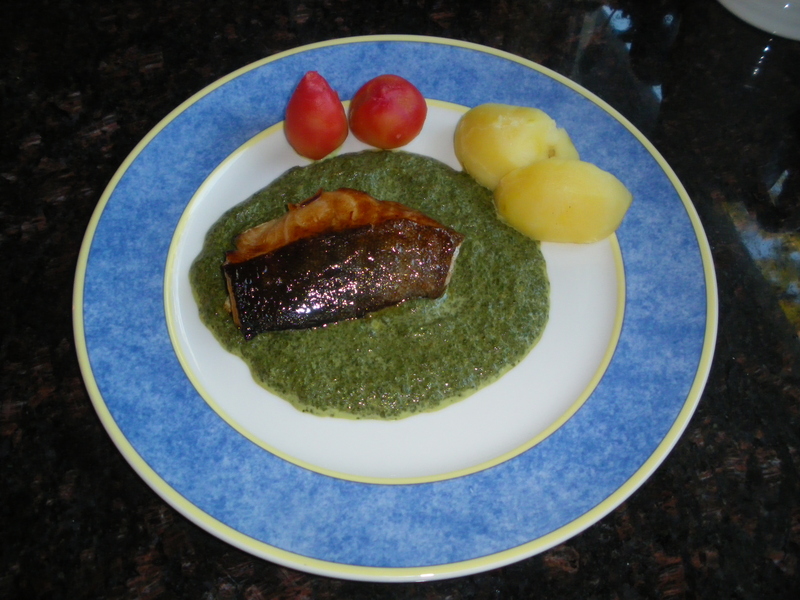 Add the beets and potatoes on the side, and the sablefish in the centre right on the green sauce. Note: you can do this with sorrel only, or beet greens only or with watercress as well. * A nut of butter is a small piece of butter the size of a walnut! une noix de beurre. This entry was posted in Main Course and tagged beets, black cod, sablefish, sorrel, yellow beets. Bookmark the permalink.